Make sure Google Backup and Sync is installed by clicking on the FileWave icon near the top right-hand corner of your screen, then clicking on the “Install Software” tab. 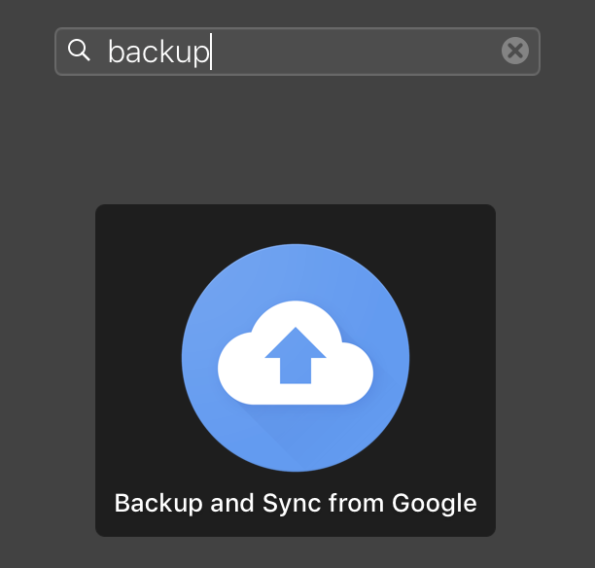 If the [Install] button appears next to Google Backup and Sync, click it. 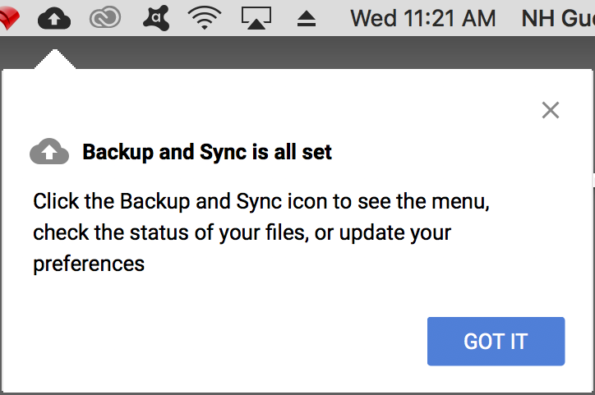 When Backup and Sync has been installed, the [Uninstall] button should appear. 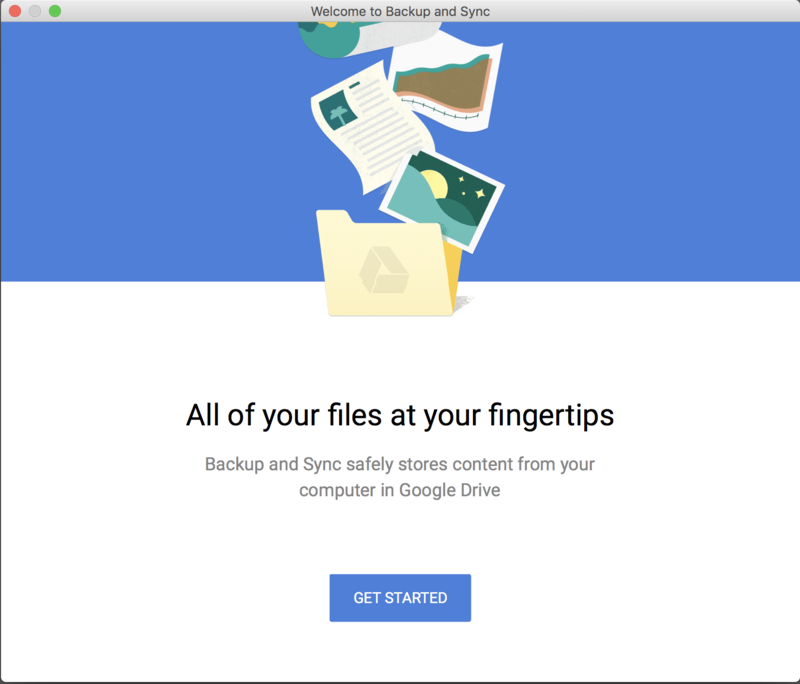 DO NOT CLICK ON UNINSTALL! Google Backup and Sync allows you to synchronize files on your desktop computer with files stored in your Google Drive account. Open”Google Backup and Sync” from the Applications folder, or use the Launchpad. 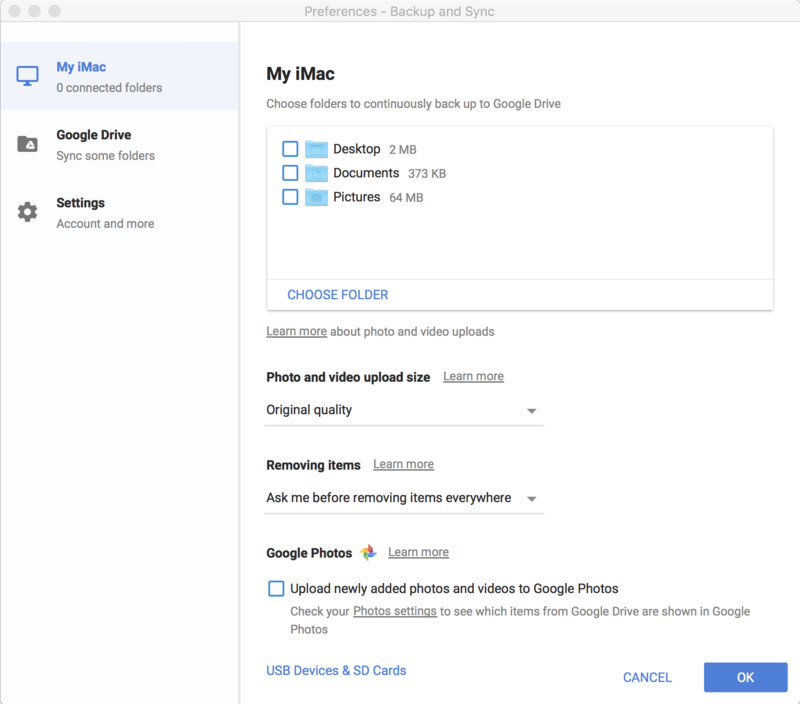 “Google Backup and Sync” replaces the “Google Drive” desktop app. 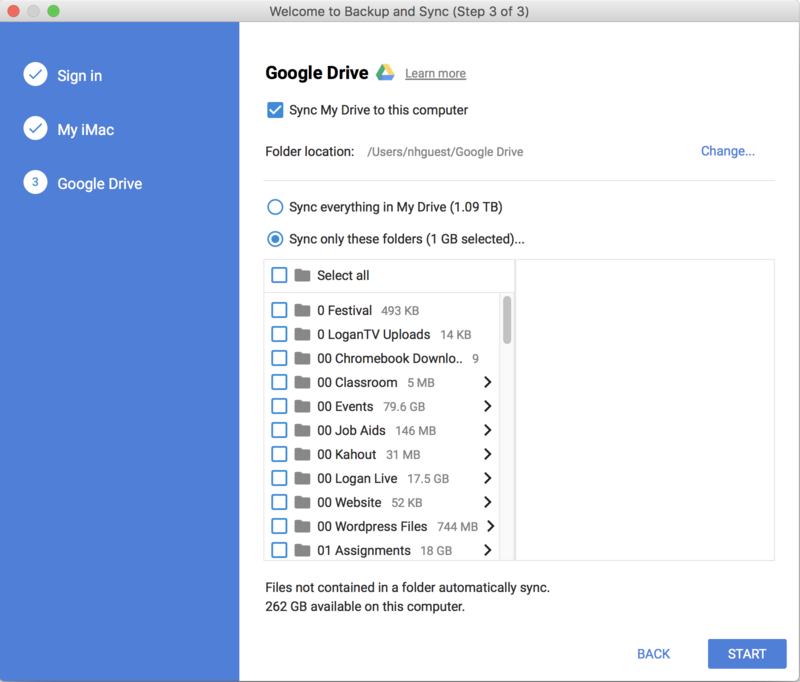 If you have already been using the “Google Drive” desktop app, you may not have to do many of the following steps. 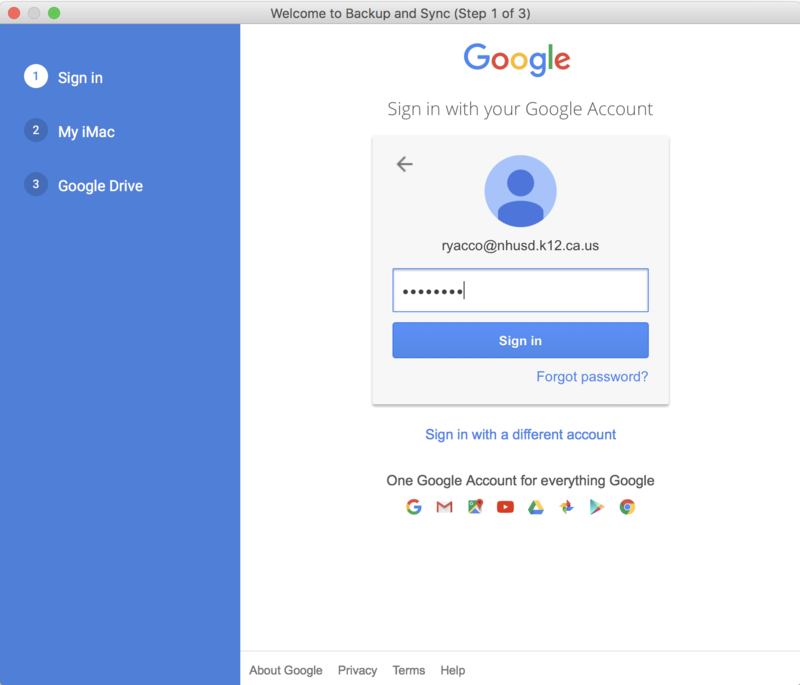 If you are not already signed-in, click on the “Sign-in” button. Use your school email address and password when prompted. 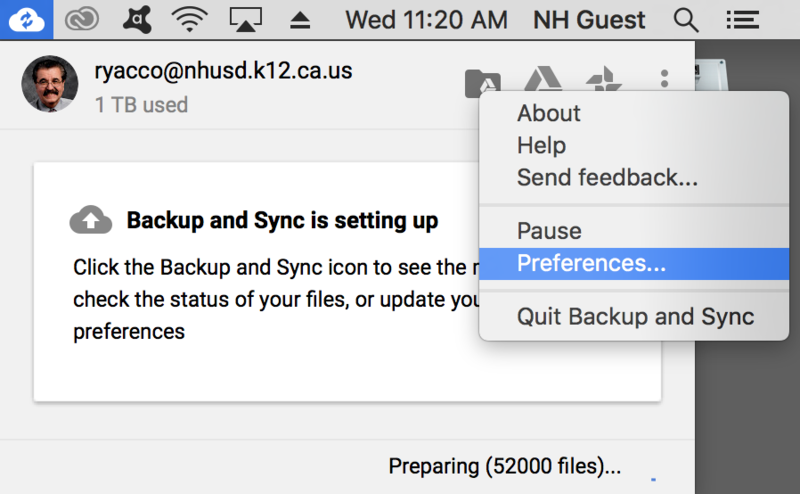 Whenever a help message appears, click the “Got it” button. 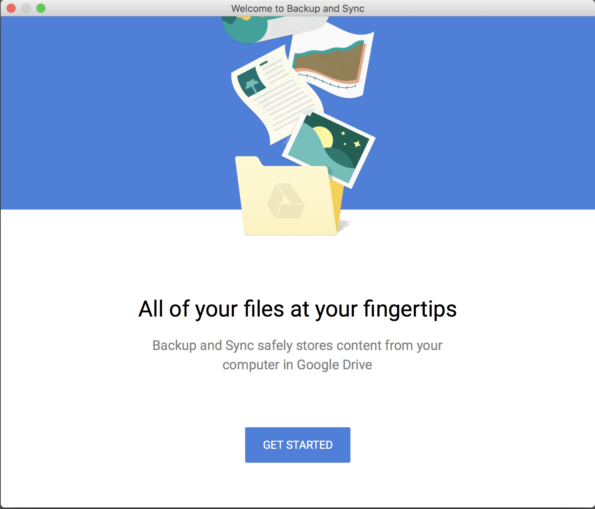 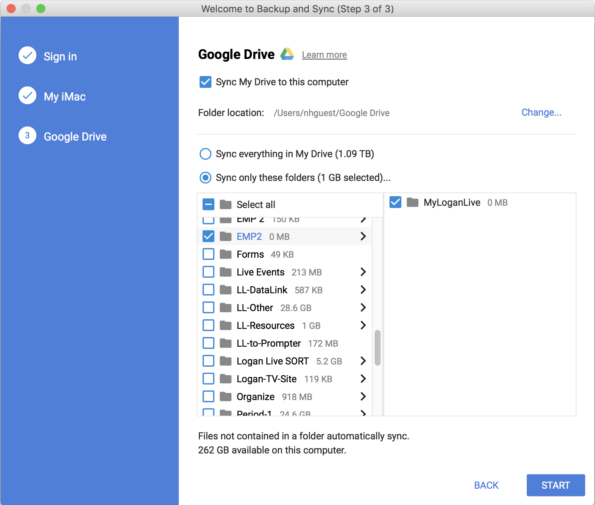 Unlike the Google Drive desktop app, Google Backup and Sync allows you to synchronize more than just the folders in your Google Drive account. 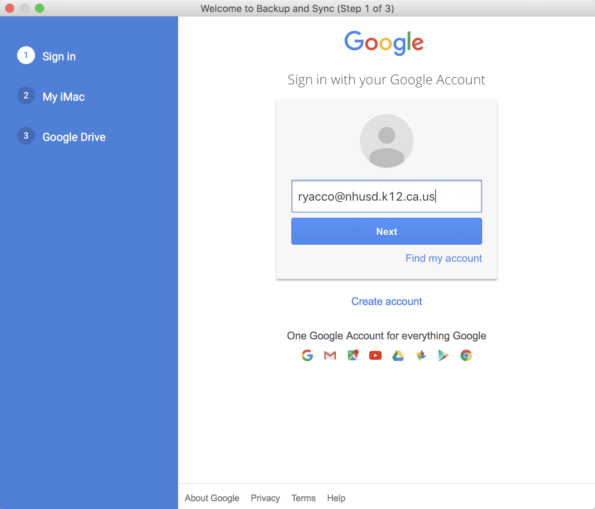 For this class, only synchronize folders in your Google Drive account. To do so, make sure there are no check marks next to any folders on the first options screen. 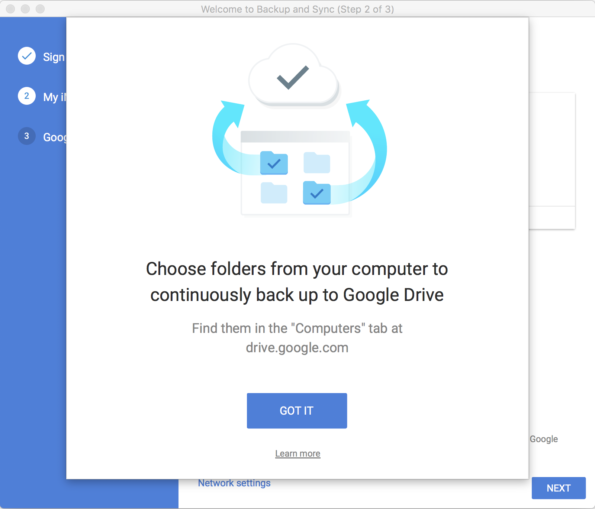 On the next screen click the “Sync only these folders” option. 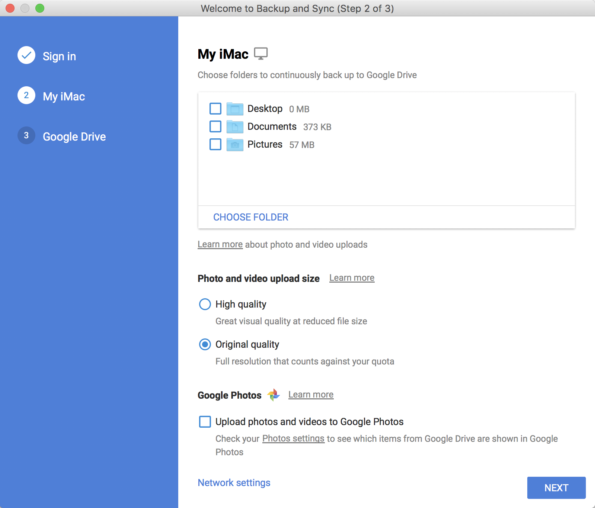 Click on the “Select all” box until no folders are selected. Scroll down to your class folder, make sure the box is checked, then click the “Start” button. 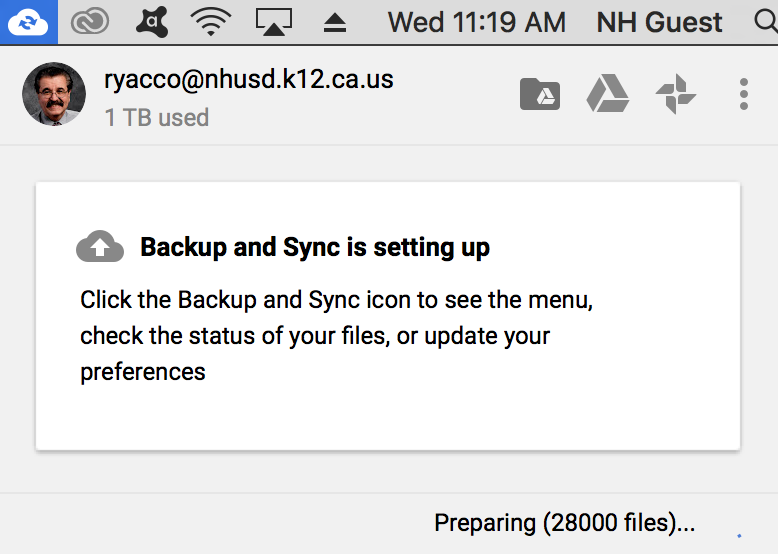 It may take awhile for all files to prepare, then sync. When the “Backup and Sync is all set” message appears, click on the “Got it” button. 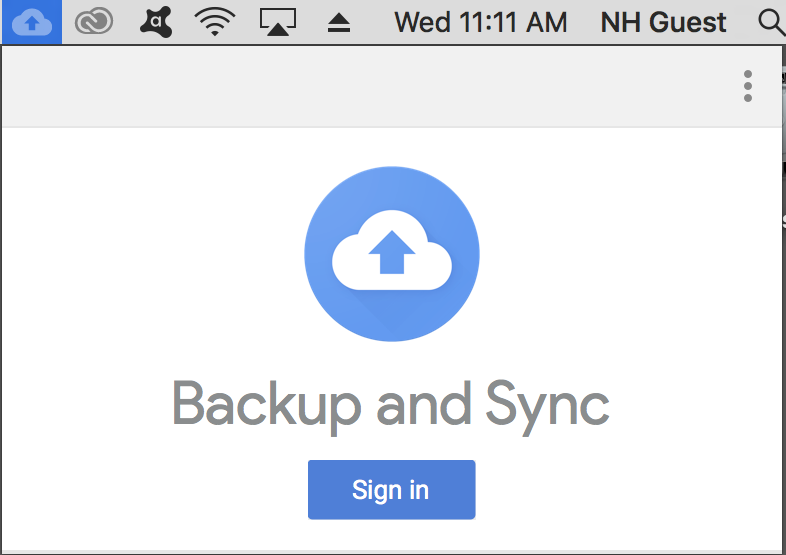 If you ever want to change your preferences, click on the “Backup and Sync” icon near the top right of your desktop. 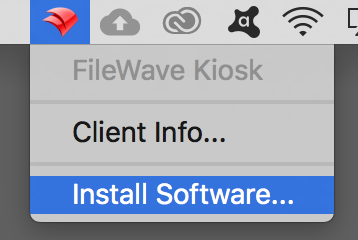 Click the three dots, then click on the “Preferences” option.